We are honored to be invited to share our knowledge and expertise on Internet of Things (IoT) and mentor participating teams during HackWeekend Kuching: Agro-IoT in conjuction with Sarawak Career and Training Fair (SCATFair) 2018 on the 7 to 10 March 2018. To begin with, HackWeekend Kuching is a community driven initiative that aims to raise awareness on technological advancement ranging from creating cross-platform mobile application to consuming big data for predicting causes of health related problems. Time and time again, our local startup community will organize a 40-hour hackathon of various themes that solved real-life problems. For more info about HackWeekend Kuching, go to HackWeekend Kuching website or HackWeekend Kuching Facebook Page. 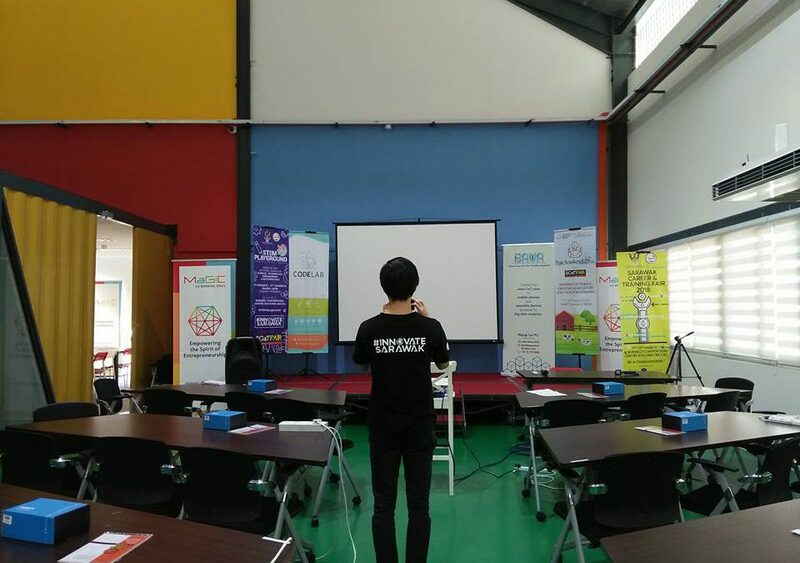 This edition of HackWeekend Kuching, themed Agro-IoT, is jointly organized by Tabung Ekonomi Gagasan Anak Bumiputera Sarawak (TEGAS) and Malaysian Global Innovation & Creativity Centre (MaGIC) tackling problems related to agriculture. In hope that we (the startup community) could revolutionize the agriculture industry. As a matter of fact, HackWeekend Kuching is strongly supported by ILK Tech (ilovekch.com), Codelab Academy, Chumbaka Kuching, and us of course. HackWeekend Kuching is back for its third installment, this time bigger than ever before, revolving around agriculture. First thing to remember is that HackWeekend is a 40-hour hackathon open to everyone with no age limitation. This edition of HackWeekend tackles one of the world’s problem which is yield. How do you double the yield by 2050, to feed the growing population in the world? How do we answer questions like what, when, and where should one plant? The answer lies in the Internet of Things (IoT). IoT opens up new data streams enabling modern farmers to make smarter decisions and better plan for the future. For example, by hooking sensors up to livestock, one can study and analyse livestock behavior to reduce livestock stress which in return improves productivity, handler safety, and animal welfare. We could even discover certain traits that are previously unknown. 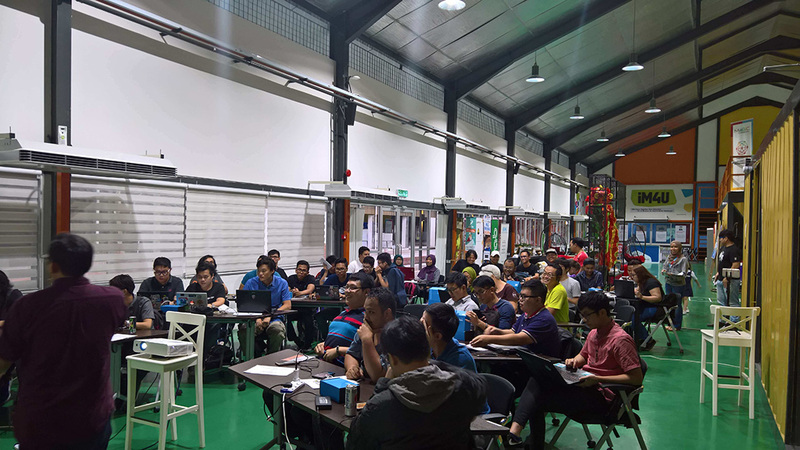 Participating teams of HackWeekend Kuching: Agro-IoT went through a knowledge transfer session where they are exposed to the possibilities of running Windows 10 IoT Core on Raspberry Pi 3. We had the pleasure to conduct the knowledge transfer workshop. Our workshop covered setting up Windows 10 IoT Core on Raspberry Pi 3, blinking an LED, driving a servo motor using software pulse width modulation (PWM), and a simple HTTP GET request to OpenWeatherMap. Now, it would not be IoT if there is no connection to the internet, would it? By having OpenWeatherMap weather data for example, we could somewhat automate an irrigation system of some sort. Despite the lack of sleep and the intense 8-hour workshop, participating teams hack on (well, it’s a hackathon). The idea here is to quickly build and validate as many ideas or prototypes as possible, to question everything and anything, fail as many times needed, and rise again to solve an agriculture-related problem at the end of day 4. 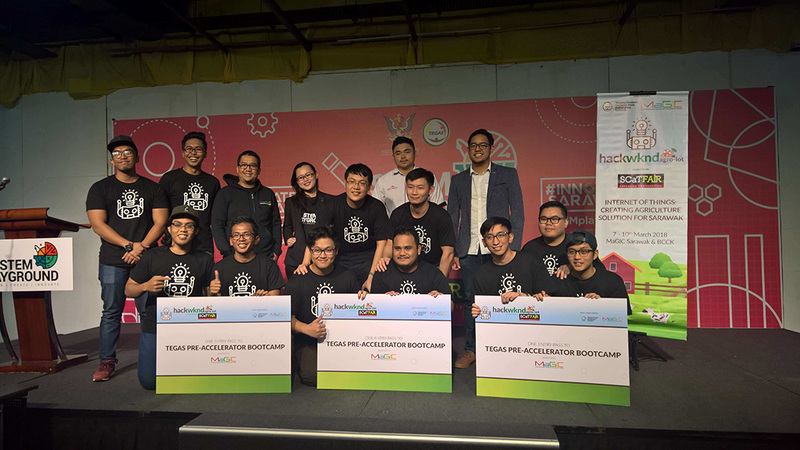 HackWeekend Kuching: Agro IoT comes to a close at SCaTFair 2018 at Borneo Convention Centre on the 10 March 2018 as if a 4-day hackathon is not enough. The champion is a team from University College of Technology Sarawak (UCTS), Team YouKnowUs? 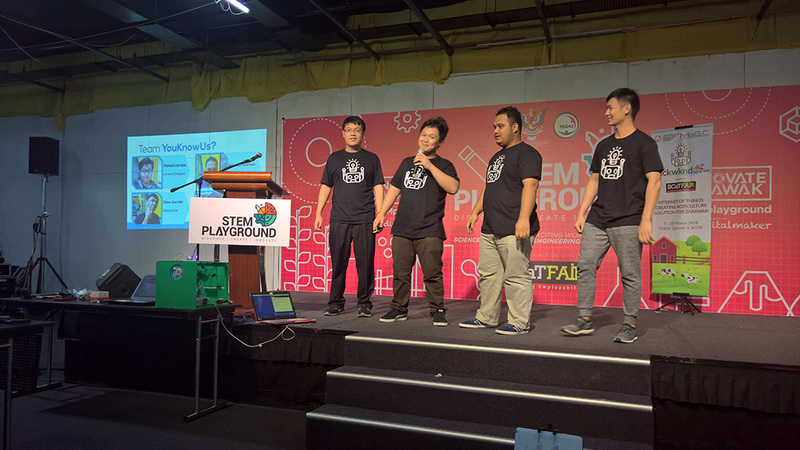 with their idea on a field monitoring system made possible by Windows 10 IoT Core on a Raspberry Pi 3 connected to MQTT that allows modern farmers to take actions from the comfort of their mobile devices (as demo-ed on an Android device). To the other team that participated, you are winners in your own way. You survived a 40-hour hackathon and made a thing that does something and you should be proud of that. Read our tech talk on IoT here.